Peterborough City Council has signed a deal with CityFibre to build a 1Gbps fibre network. The East Midlands city – home to 200,000 residents and 4,000 businesses – is currently served by BT, with some access to Virgin Media’s services. However, CityFibre will use private investment to build a fibre network, claiming it will offer significantly faster connections from just £25 per month. The first phase of the roll-out, beginning in spring 2014, will see 90km of fibre laid down across the city, giving access to 80% of Peterborough’s businesses, as well as numerous public sector organisations such as schools, hospitals and museums. That core infrastructure focusing on business districts will be completed in 18 months – although the first services plan to go online in summer 2014 – and will allow any company within 200m of the network to connect. CityFibre’s CEO, Greg Mesch, promised some discounted rates and free connections to encourage take-up. However, the plan is to expand the network further, meaning other areas left out in the initial roll-out should not be far behind. 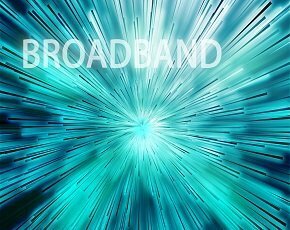 The network will be offered to ISPs to use on a wholesale basis but CityFibre has promised to offer the same price to them as BT does for its 40Mbps connections, meaning in theory users could access 1Gbps for £25 per month. The company will also offer its own service for dedicated lease lines, costing between £200 and £1,000 per month, and fibre business tariffs costing between £50 and £100 per month. Mesch explained that, although the build would cost several millions, they only needed around 300 end points before it started paying for itself. CityFibre already has two cities with similar roll-outs – York and Bournemouth – but Mesch revealed there would be two more second-tier cities announced in the near future.